Need dinner in a hurry? 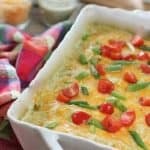 This super quick and tasty Chicken Enchilada Casserole uses store bought verde sauce and rotisserie chicken! Five ingredients guys! Not kidding, this is so easy and the most tastiest enchies ever! Tortillas, chicken, store bought verde sauce mixed with sour cream, and a sprinkle of cheese (okay handfuls…whatever). Everything about this recipe is so easy and truly, they beat red sauce enchies all the way. I’m always looking for a good friday night meal to cook so I don’t have to cook over the weekend and this hit all the marks! It’s got super flavor and it re-heats really well. 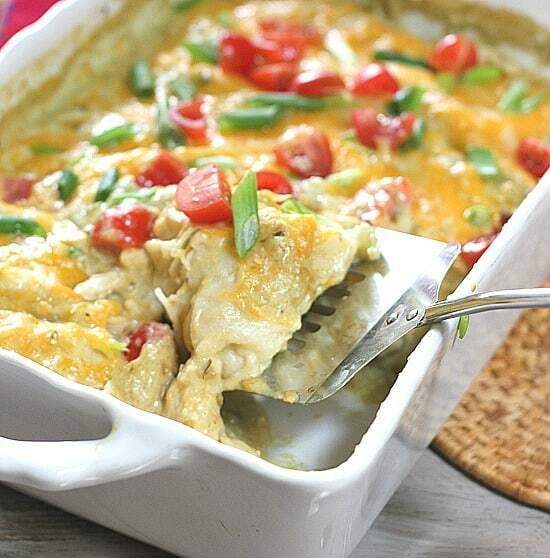 We used store bought rotisserie chicken to make this 5 Ingredient Salsa Verde Chicken Enchilada Casserole! But if you have a couple pieces of chicken hanging around you can just bake them off and shred them. I seem to have a plethora of Costco chicken in my freezer at all times. This recipe makes about 10-12 enchiladas. You can easily half it or double it. Ground chicken or turkey can be subbed for the shredded chicken in a pinch ( I really like the ground chicken version). A few more Mexican inspired casseroles for ya! 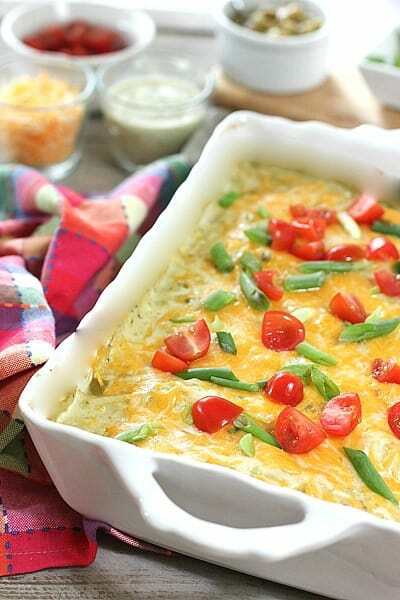 Easy Mexican Chicken Bake – Another recipe made with store bought ingredients that is soooo good! Simple is always Best, I say! This sounds delicious for my Cinco de Mayo dinner! Thanks for sharing. Hi Susan! Thanks for your note! This looks so simple and delicious! I love it when recipes only have a couple ingredients- it really makes my life easier!! Your serving dishes are gorgeous by the way. Thank you Sarah! I’m a Home Goods junkie…not sure if you have one nearby but they have a plethora of stuff for super cheap…a bloggers dream! I actually have an enchilada recipe planned for tomorrow! One of these days I want to make my own green enchilada sauce, but for now I’ll stick with jarred since it is easier! I’d love to make my own sometime too! Be curious to see the flavor difference. Thanks for the note! 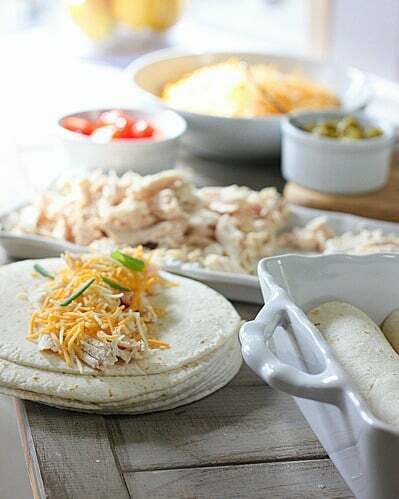 Enchiladas are such a comforting meal, love this recipe! Thanks Sue…hope you get a chance to try them! Yay, green enchiladas that don’t have cream cheese or soup. Seems like so many recipes for salsa verde enchiladas rely on those ingredients and I really don’t care for either of those things in mine. These will be going on my to make list. This does look like a tasty dish to throw together with things I always have on hand… and you are totally right about checking the heat level on salsa verde! We are all heat wimps in this family and sometimes mild is to hot :). Thanks for the note!